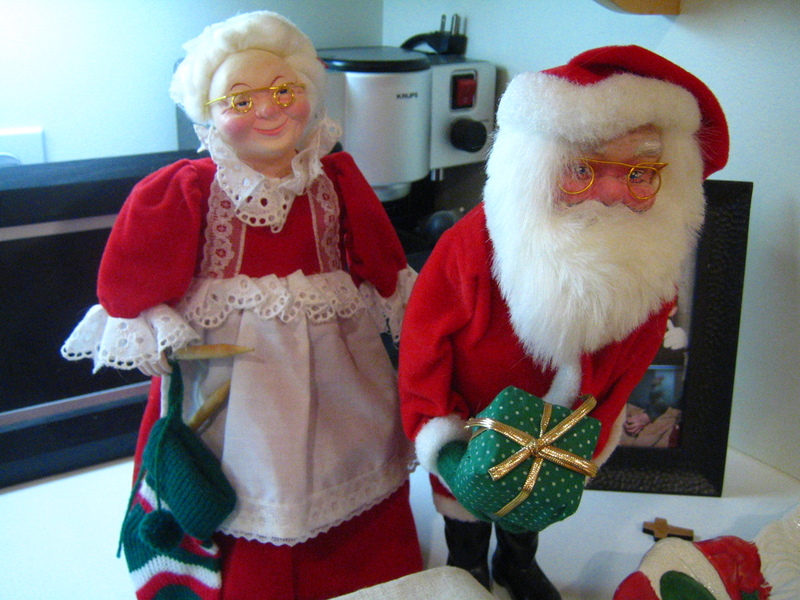 According to my mother, when I was a wee one my family opened our presents on Christmas Eve. That changed before I have any memory of it happening. For as long as I can remember, my sister (who is older than me, by the way) has always woken me up at the crack of dawn on Christmas morning to rush to the living room and start ripping open presents, barely taking the time to read the recipient names on the packages first. Of course, now that my sister has a family and a home of her own, she doesn’t come bounding into my room to wake me up. She calls instead. 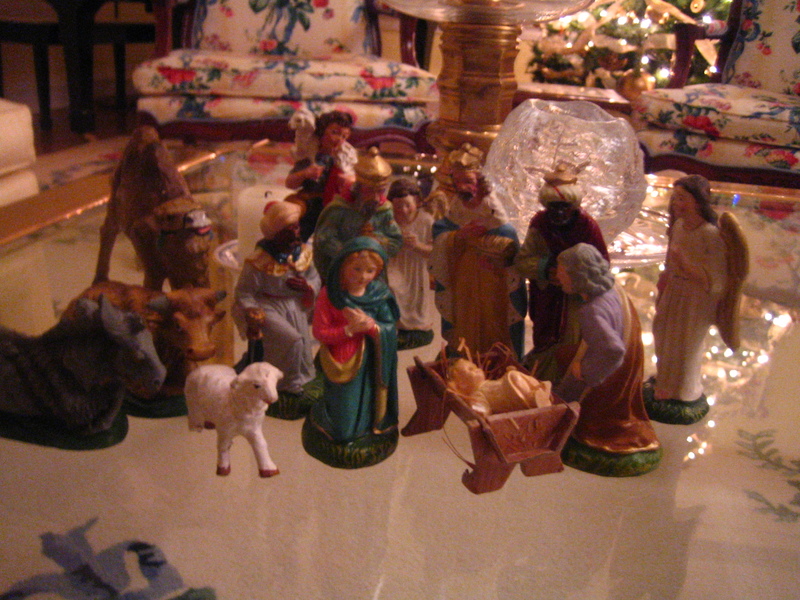 I’ve always thought that opening presents on Christmas morning heightens the anticipation of the big Christmas event- I’m talking about a certain divine baby’s birth, not just the presents waiting to be unwrapped, of course. I love spending Christmas Eve anticipating what is to come and reflecting all the blessings I have in my life. Oh, and I also love the pre-candlelight service dinner that has become a tradition every Christmas Eve for my parents and me. 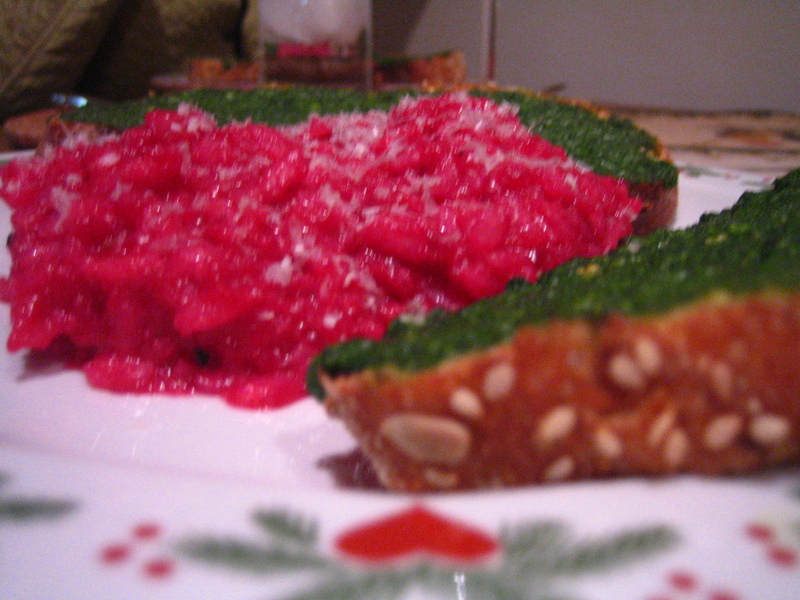 And what could look more Christmas-y than a meal of bright red and green?? 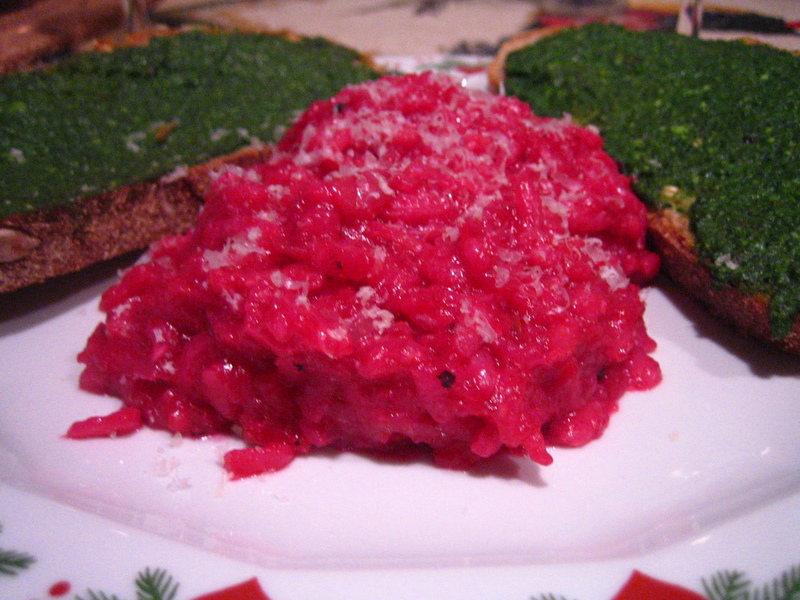 The red color in the risotto comes from beets- the only change that I made was to sub canned beets for fresh, because frankly I didn’t have the desire to get my hands all stained with red beet juice right before church. Consider making this dinner for Christmas sometime, you won’t be sorry. And if you’re concerned about picky relatives, don’t worry- I have relatives that ordinarily won’t even touch beets and when I’ve served this dish to them, they’ve scarfed it up. Call it another Christmas miracle if you will. I’m going to go eat some cookies to round out my meal before church. Awww – such cute pics! We also went to a candle light Christmas eve service – It was so nice and made my Mom SO happy!